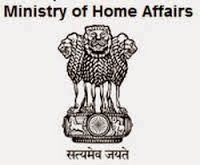 Aizawl, Feb 3 : The Ministry of Home Affairs (MHA) has agreed to organise a final six-month repatriation process for internally-displaced Bru tribals, after which all those who do not return home from Tripura will be removed from Mizoram’s electoral rolls and further relief to them will also be stopped, Mizoram Home Minister R Lalzirliana said on Monday. It has also been decided that Tripura, where tens of thousands of displaced Brus live in squalid conditions across six relief camps, would meanwhile improve living conditions there and double the current financial aid allotted to each displaced Bru tribal. The decisions were taken on January 30 at a meeting between MHA Joint Secretary Shambhu Singh, Director (North East) J P N Singh, Tripura’s Additional Secretary for Revenue K M Das and Officer on Special Duty to Mizoram’s Home Department David H Lalthangliana. The decisions reached at the meeting will be included in an affidavit to be filed before the Social Justice Bench of the Supreme Court, which is currently deciding on a couple of petitions about the welfare of displaced Brus who fled Mizoram en-masse in 1997 following ethnic violence. “The MHA has decided that all those who currently remain in the relief camps should be repatriated to Mizoram within six months and that whoever does not come back in that time will be removed from Mizoram’s electoral rolls,” R Lalzirliana said, adding the MHA will no longer consider them “refugees” and stop aid. Official records show almost 4,000 Bru families who have voting rights in Mizoram continue to live in the relief camps. The state Home Minister also said that Mizoram and Tripura have been asked to draw up a detailed action plan and submit them to the MHA.